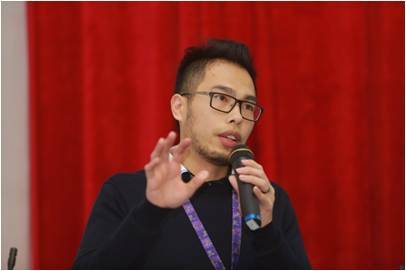 Dr. Marc Chong received his BSc in Statistics and PhD in Public Health from the Chinese University of Hong Kong (CUHK) in 2006 and 2011 respectively. He has become a postdoctoral fellow after his study and is a research assistant professor since 2015. Dr. Chong is also a biostatistician and SAS programmer in Centre for Clinical Research and Biostatistics (CCRB, former Centre for Clinical Trials) since 2006. He is involved in various academic and industrial clinical trials and responsible to study design, data management, SAS programming, and statistical analysis. Wang MH, Weng H, Sun R, Lee J, Wu WK, Chong KC, Zee BC. A Zoom-Focus Algorithm (ZFA) to locate the optimal testing region for rare variant association tests. Bioinformatics. 2017. To KL, Fok YY, Chong KC, Lee YC, Yiu LS. Individualized homeopathic treatment in addition to conventional treatment in type II diabetic patients in Hong Kong–a retrospective cohort study. Homeopathy. 2017. Chong KC, Wang MH, Zee BCY. A Statistical Method Utilizing Information of Imported Cases to Estimate the Transmissibility for an Influenza Pandemic. BMC Medical Research Methodology. 17:31; 2017. Chong KC, Zhang C, Zee BCY, Luo T, Wang L, Tam GCH, Jia KM, Sun R, Wang MH, Guan X. Interpreting the transmissibility of measles in two different post periods of supplementary immunization activities in Hubei, China. Vaccine, 35:1024-1029; 2017. Wang MH, Chong KC (co-first), Storer M, Pickering JW, Endre ZH, Lau SYF, Kwok C, Lai M, Chung HY, Zee BCY. Use of a least absolute shrinkage and selection operator (LASSO) model to selected ion flow tube mass spectrometry (SIFT-MS) analysis of exhaled breath to predict the efficacy of dialysis: a pilot study. Journal of Breath Research. 10:4; 2016. Chung VCH, Ho RST, Liu S, Chong KC, Leung AWN, Yip BHK, Griffiths SM, Zee BCY, Wu JCY, Sit RWS, Lau AYL, Wong SYS. Electroacupuncture and splinting versus splinting alone to treat carpal tunnel syndrome: a randomized controlled trial. Canadian Medical Association Journal. 188:867-75; 2016. He Y, Zou L, Chong KC (co-first), Men R, Xu W, Yang H, Yao X, Chen L, Xian H, Zhang H, Luo M. Genetic evolution of Human Enterovirus A71 subgenotype C4 in Shenzhen, China, 1998–2013. Journal of Infection. 72:731-7; 2016. Wu C, Wang MHW, Lu X, Chong KC, He J, Yau CY, Hui M, Cheng X, Yang L, Zee BCY, Zhang R, He ML. Concurrent epidemics of influenza A/H3N2 and A/H1N1pdm in Southern China: a serial cross-sectional study. Journal of Infection. 72: 369-376; 2016. Lee FA, Zee BC, Cheung FY, Kwong P, Chiang CL, Leung KC, Siu SW, Lee C, Lai M, Kwok C, Chong M, Jolivet J, Tung S. Randomized Phase II Study of the X-linked Inhibitor of Apoptosis (XIAP) Antisense AEG35156 in Combination With Sorafenib in Patients With Advanced Hepatocellular Carcinoma (HCC). American Journal of Clinical Oncology. 39(6):609-613; 2016. Chong KC, Wang X, Liu S, Cai J, Su X, Zee BCY, Tam G, Wang MH, Chen E. Interpreting the transmissibility of the avian influenza A (H7N9) infection from 2013 to 2015 in Zhejiang Province, China. Epidemiology and Infection. 1-8; 2015. Wei X, Zou G, Chong KC, Xu L. An intervention of active TB case finding among smokers attending routine primary care facilities in China: an exploratory study. Transactions of the Royal Society of Tropical Medicine and Hygiene. 109: 545–552; 2015. Wei X, Li H, Yang N, Wong SYS, Chong KC, Shi L, Wong MCS, Xu J, Zhang D, Tang J, Li DKT, Meng Q, Griffiths SM. Changes in the perceived quality of primary care in Shanghai and Shenzhen, China: a difference-in-difference analysis. Bulletin of the World Health Organization. 93:361-440; 2015. Chong KC, Goggins W, Zee BCY, Wang MH. Identifying Meteorological Drivers for the Seasonal Variations of Influenza Infections in a Subtropical City – Hong Kong. International Journal of Environmental Research and Public Health.1 2(2):1560-1576; 2015. Chong KC, Fong H, Zee BCY. Estimating the incidence reporting rates of new influenza pandemics at an early stage using travel data from the source country. Epidemiology and Infection. 142:955-963; 2014. Goggins WB, Chan EYY, Yang C, Chong KC. Associations between mortality and meteorological and pollutant variables during the cool season in two Asian cities with sub-tropical climates: Hong Kong and Taipei. Environmental Health. 12:59; 2013. Wei X, Zou G, Gong W, Yin J, Yu Y, Walley J, Zhang Z, King R, Chen K, Chong KC, Zee B, Liu S, Tang J, Griffiths S, Yu M. Cardiovascular disease risk reduction in rural China: a clustered randomized controlled trial in Zhejiang. Trials. 14:354; 2013. Chong KC, Zee BCY. Modeling the impact of air, sea, and land travel restrictions supplemented by other interventions on the emergence of a new influenza pandemic virus. BMC Infectious Diseases 12:309; 2012. Chung V, Chong KC, Hong LC, Ma PHX, Wong SYS, Griffiths SM. Emotionless Holism: Factor and Rasch Analysis of the Chinese Integrative Medicine Attitude Questionnaire. Chinese Journal of Integrative Medicine. 18:457-465; 2012. Lo YD, Lun FM, Chan KA, Tsui NB, Chong KC, Lau TK, Leung TY, Zee BC, Cantor CR, Chiu RW. Digital PCR for the molecular detection of fetal chromosomal aneuploidy. Proceedings of the National Academy of Sciences USA. 104(32):13116-21, 2007. Ka Chun Chong and Benny Chung-Ying Zee. Survival Plots using SAS PROC LIFETEST, GPLOT, and SGPLOT: What are their difference? PharmaSUG China 2015-56; 2015. Zhihuo Zhang, Sichan Tang, Ka Chun Chong and Benny Chung-Ying Zee. Use of SAS® for Risk-Based Monitoring of Survival Endpoints and Adverse Event Data in Clinical Trials. PharmaSUG China 2015-58; 2015. Ka Chun Chong and Benny Chung-Ying Zee. Compartmental Models in SAS: Application to Model Epidemics. PharmaSUG China Number SP03; 2014. Ka Chun Chong, Maria Lai Ming Po, Benny Chung-Ying Zee. Use SAS® as a Tool of Error Detection and Reporting for Risk-Based Monitoring in Clinical Trials. PharmaSUG China Number PO05; 2014. Ka Chun Chong and Benny Chung-Ying Zee. Nonlinear Least-Square Fitting to Pharmacokinetic-Pharmacodynamic Model by Using SAS PROC NLIN. PharmaSUG China Number 26; 2013. Ka Chun Chong and Benny Chung-Ying Zee. Power Analysis for a Cluster Randomized Trial with Imbalance Cluster Size: A Simulation Study Using SAS PROC MIXED and PROC GLIMMIX. PharmaSUG China Number 27; 2013.